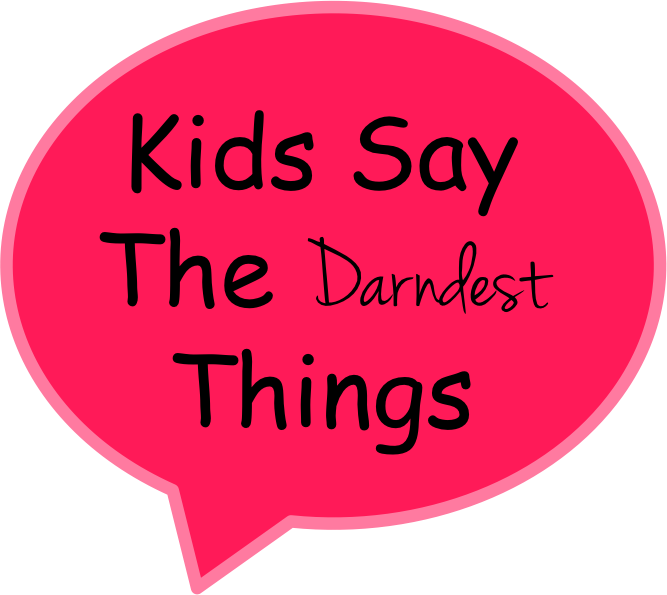 I don't know if you ever watched the show Kids Say the Darndest Things, but it was hilarious. Bill Cosby was the host and talking kids were the entertainment. I babysit quite frequently and I have a little brother so my life is full of hilarious and funny sayings…brought to you by, the kids themselves. Sidenote: None of these quotes have been changed to make you laugh, they are just funny. Kid #1: (Talking to me and another little girl) Hey guys, I lost all the divers in the deep end of the pool will you come help me look for them? Kid #2: (5 yrs old) Nope, but we can certainly can sit on the side of the pool and help you look. Kid #2: (Talking to me) You are going to buy me that Elsa costume. Me: Oh really, says who? Kid #2: Me. And if you don't then you are going to give me money to buy the Elsa costume. Kid #1: Taylor, YOU NEED TO PUT KID #2 IN TIMEOUT, THIS IS RIDICULOUS. Kid #4: (Looks at booger, starts crying) YUCKY!!!!!! Me: (To kid #2 in calm voice) You don't always get what you want, you have to share. Kid #2: I always get what I want. Kid #5: Taylor, tell them I want to be the dog, (we were playing castle…I think), if I can't be the dog I'm going to scream. Kid #6: No, she can't be the dog, I'm going to kill the dog if she is. Me: (To Kid #5) Are you sure you want to be the dog? Me: Kid #6, please don't let the dog out, ok? I don't want him to run off. The life of a baby-sitter…to be continued. Have a kid-kind of day! !